It’s time for Tombstone Tuesday again. We aren’t straying far from last week’s spotlight. Today we’re looking at my second great-grandfather, Julius Ferdinand Altman. 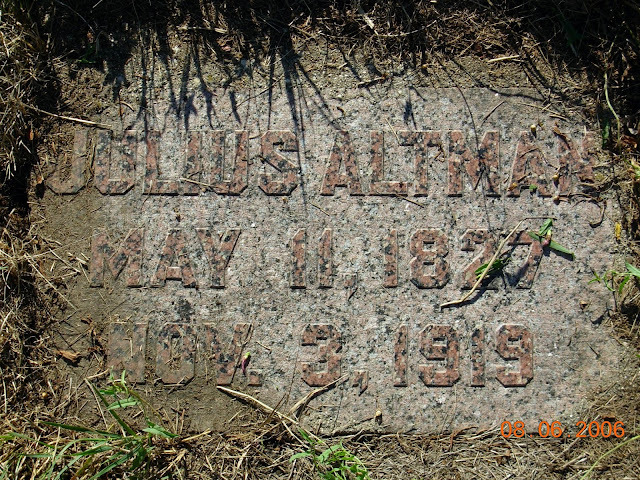 Julius was the fifth of ten children of Christian Gottlieb Altman and Maria Elizabeth (Neubauer) Altman. He had seven brothers (three older and four younger) and two sisters (one older and one younger). Julius was born 11 May 1826 in Neulewin, Markisch-Oderland, Brandenburg, Prussia, Germany. 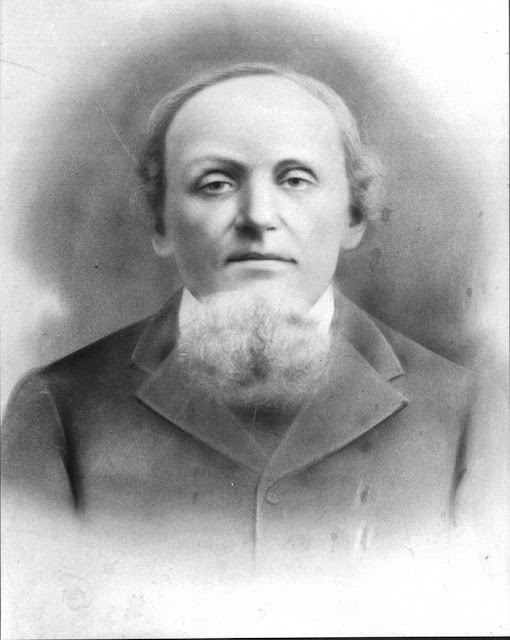 He immigrated to the United States in either 1854 or 1855 and married Marie Louise Henrietta (Froemke) Altman on 5 April 1863 in Waumandee, Buffalo, Wisconsin. Together they had 13 children. Julius died 3 November 1919 of pneumonia at his son, Ludwig’s home.